THQ Nordic has announced that Darksiders Warmastered Edition is still coming to the Nintendo Wii U. It will be out on May 23rd. 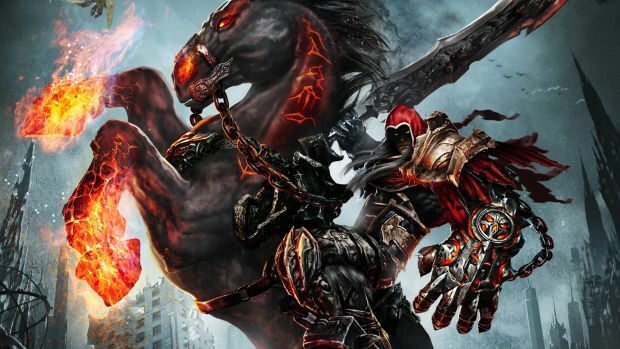 Initially thought to be cancelled – which is reasonable given the launch of the Switch and Nintendo itself dropping support for the Wii U – Darksiders Warmastered Edition is a remaster of the first game. Running at native 1080p, it released for PS4, Xbox One and PC last year. Other improvements include post-processing effect, improved shadow quality and so on. While the other versions run at 60 frames per second, the Wii U version only runs at 30 frames per second. Darksiders Warmastered Edition will at $19.99/£14.99 on release. The second game also received a remaster called Darksiders 2 Deathinitive Edition in 2015 but that’s not available on the Wii U. What are your thoughts on finally being able to play the Darksiders remaster? Let us know in the comments below and stay tuned for more information.